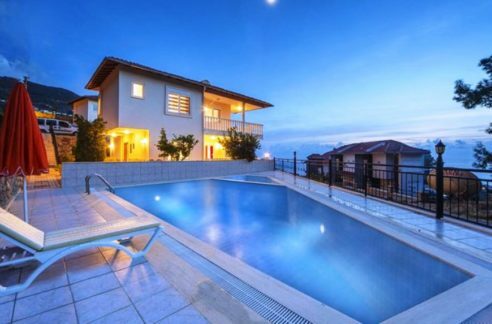 This beautiful penthouse apartment is located Cikcilli, where many Scandinavians have chosen to buy their holiday home. The apartment is made of good materials, located on the 5th and has a good look to both the Mediterranean and the mountains. 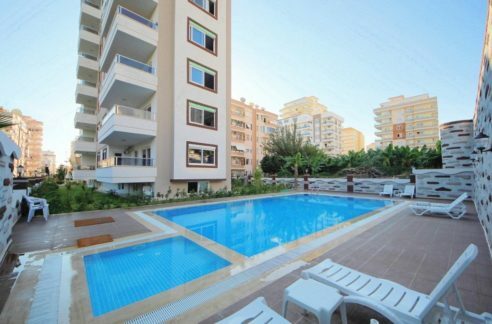 The complex is called Baran 1 & 2, the apartment is located in block 2 where is a lovely pool area and fitness room and sauna. The apartment has a beautiful large and practical hall, where there is access to the property neat living room, with a nice kitchen in the extension of the living room. From here there is access to one of the two balconies where there is plenty of space and a brick grill where food can be prepared. Opposite way from the hall is the apartment’s guest bathroom with shower, and fitted wardrobes. As well as the bedroom, with access to small balcony. 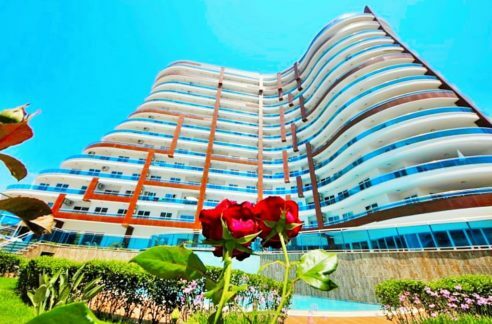 From the living room stairs to the apartment’s first floor where there is a large bathroom with jacuzzi, and 2 bedrooms where from one has access to the terrace. There is air conditioning in the living room and bedrooms. Throughout the apartment there are beautiful marble floors. 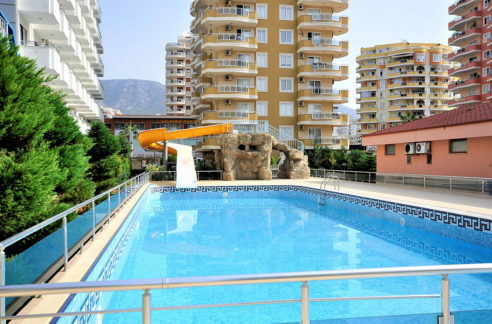 The complex Baran 1 & 2 also has a highly functioning owners association and is mainly inhabited by Danish and Scandinavian nationalities. There is also an associated tennis court, and BBQ in the art. There is internet and satellite dish which can receive Danish channels. Contact for an appointment for property visit!